Keret brings an easy intimacy to his collection of stories. 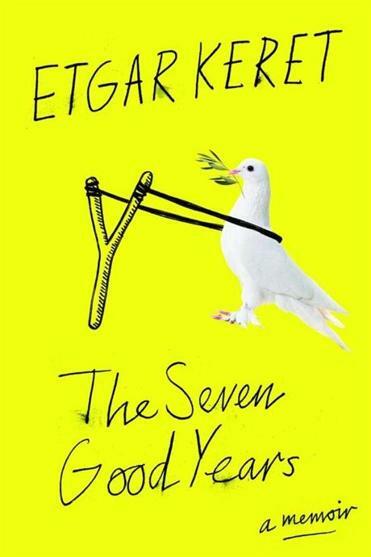 Reviewing Etgar Keret’s new volume of mini-memoirs poses something of a pleasant conundrum: What can you add to the reading world when you’ve just turned the final page of a book in which a writer has managed to say so much, so movingly, so concisely, and so entertainingly? You could talk about the ways in which Keret makes his observations so precisely that you can practically see him throwing up his hands at the absurdities of life while embracing it fiercely at the same time; you could point out how he draws lovingly-tangled turns of phrase from his mischievous mind, phrases that recall a fellow agile wordsmith, American author Tom Robbins; and you could discuss how Keret tears down the author-reader wall with flamboyant, “ta-da!” flourishes. Witness, for instance, how a leisurely meditation on the personas of his two-week-old son — he’s enlightened; he’s a junkie; he’s Chucky from “Child’s Play” — expands into daydream while Keret is meant to be changing the kid’s diaper. The delightful reality is that Keret brings the same surreal edge and black-as-pitch humor to these nonfictional musings as he does to his short stories. Even their shape — small, perfectly-formed — mirrors the feel of his fiction. And while many of these pieces found their initial homes in such publications as The New Yorker, Granta, and The New York Times, together they form an elegant arc, feeling as fresh and thoughtful as they did individually the first time around. Keret’s writing exudes an intimate friendliness, as though he’s bantering with you, one-on-one. Readers will appreciate his view on pilates as a safe haven of exercise (“you work on mainly internal muscles, which means that anyone watching you has no way of knowing whether you’re really exercising your deep pelvic muscle, contracting your striated muscles, or just dozing on the mattress.”). We feel him commiserating with us on the misery of dealing with telemarketers (“The thing is, just a minute ago I fell into a hole and injured my forehead and foot, so this really isn’t the ideal time.”). Similarly we recognize the sense of ephiphany he describes in an anecdote about how his brother inspired him to be a writer (“I don’t know how a wizard feels the first time he manages to cast a spell, but it’s probably something similar to what I felt at that moment.”).